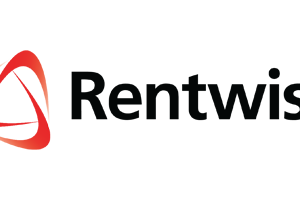 With over more than 17 years in the IT rental business, Rentwise practices a number of key guiding principles for organisational success. Having grown by leaps and bounds over the years, Rentwise operational excellence is constantly driven by its dedicated and passionate need to serve its customers by holding fast to the adage “Rent that which depreciates and Own that which appreciates”. We take our work seriously. We value our service as much as you do your business. We take pride in our ability to deliver beyond expectations. We are passionate about creating a Green and sustainable future to make positive differences to humanity and the environment. We continuously look for ways to achieve this by constantly improving what we do. Passion for excellence is what drives us to not settle in our endeavour to realise our customers’ and partners’ business goals. A culture of acknowledging and reconciling similarities and differences is key to creating a conducive environment for people to work together, collaborate and contribute their opinions and ideas. Treating our customers and colleagues with respect calls for the recognition of the right to freely and constructively voice out opinions and ideas. Once a decision is reached, we agree to support each other and put personal opinions and differences aside – ensuring we help each other succeed. Being accountable is all about being responsible for our actions and feelings of others. It’s about the commitment to see matters through with a will to keep promises made. We live in an increasingly interconnected world where our actions may have a far and wide reaching consequence. We understand that in business and career growth, a certain level of dependability is inevitable. As such, we take pride in delivering quality service because we know our customers count on us for their business success and our staff depend on us for their career advancement. We will always strive to ensure we offer the best service experience for all our stakeholders. Nothing is more prickly than a bruised conscience. Being honest and upfront in all business dealings and personal interactions ensure integrity is upheld at all cost. We seek clarity and are responsible to ensure we communicate clearly thus enabling others to make desirable and informed decisions that benefit them. We acknowledge learning is a never ending process and we take proactive steps to ensure we are constantly learning and growing. It’s indeed a pleasure to witness business successes realised as a direct result of our career enhancement and personal growth.